How would you like to watch female boxers fighting in the ring wearing skirts? This is the hottest debated topic these days, as some members of the International Amateur Boxing Assn. — the governing body for the sport — are urging the boxers to don skirts instead of the baggy shorts they've been wearing. Boxing in Skirts or shorts? "This is absurd," complained Patricia Manuel, a former national champion from Long Beach and an Olympic hopeful at 132 pounds. 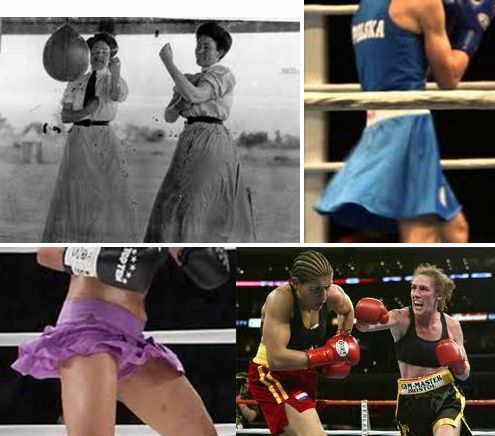 "To put fighters in skirts to label them as women is incredibly outdated. It seems to me sexist." Although boxers from Poland and Romania donned skirts at the European Championships in October, few fighters appear to favor the change.